Most people don’t look forward to their annual meeting with their tax preparer, it’s simply stressful. But the stress is 10x greater for the individual on the other side of the desk…the tax preparer. Most tax preparer’s businesses live and die by how busy they are during these crucial 3-4 months, known as “tax season”. 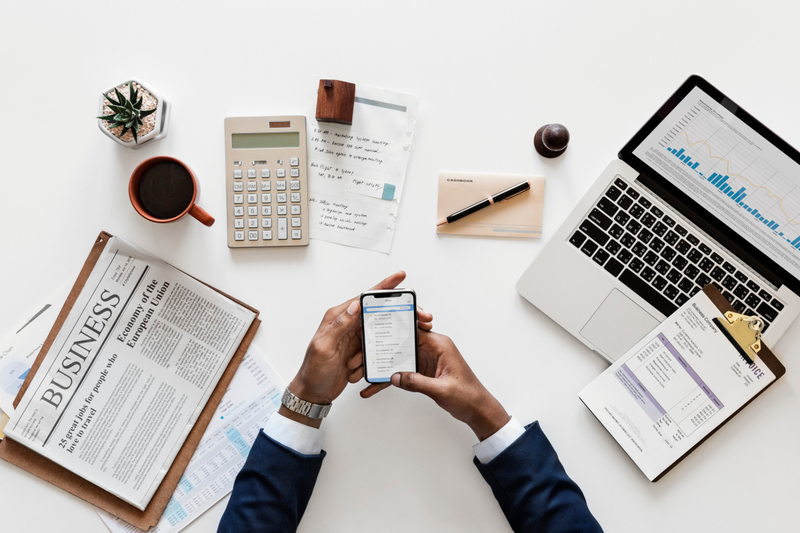 Sure, some tax returns go on extension and many offer small business bookkeeping and audit representation service to keep busy throughout the year, but tax season remains their bread and butter income. But as good as accountants are at preparing tax returns, they tend to be equally poor at marketing their business. Previous tactics such as mass produced postcard mailings, generic emails, and generic newspaper ads have become passé. Consumers are so inundated with constant advertisements; they are becoming immune to them. Today, marketing is all about target marketing. Identifying customers based on their specific location, household income, family size, home ownership status etc. in an effort to target the ideal customer. Once targeted, to reach your ideal customer, a personalized approach is needed. That means personalized postcards, personalized emails, and personalized Internet marketing. Let’s take a look at each approach individually. What are personalized postcards? Simply postcards that have specific images and/or text that is unique to the individual or business receiving them. It can be the use of the individual’s name several times throughout the postcard or it can be a cover photo they can be identified with their business. Both of these personalization techniques can be accomplished using what tech savvy printers call variable data printing (“VDP” for short). Similar to personalized postcards, but through email instead. There are two main advantages to personalized email marketing include; reduced postage expense and the ability to track analytics, such as open rates and click through rates. The latter being important because it allows measurable, variable A/B testing. By A/B testing, multiple versions of the same email message are delivered and responses are measured to calculate which scored higher. Once the best format is determined, the can later be used on a mass scale. Using personalized postcards and personalized emails, customers can be directed to an Internet landing page, for example “www.customersname.taxpreparerwebsite.com”. 1. Encouraging contacting the tax preparer for additional information. 2. Contacting the tax preparer for pricing information. 3. Contacting the tax preparer to schedule an appointment. 4. Downloading a previously prepared white paper, such as “Top 10 most overlooked tax deductions for small businesses”. In exchange for additional personal data from them. 5. And the call the action needs an expiration date to give the perception of additional value. Many tax preparation offices or storefronts use signage, whether its posters, banners or flags. This marketing method targets everyday traffic in an attempt to lure in a customer. While still effective, this method is getting replaced with digital signage. Imagine a smart TV that basically plays a commercial for your service 24/7. Comparing posters to a short videos and images that play on loop, studies have shown customers have a greater response to the digital signage, maybe associating tech-savvy marketing with tech savvy tax preparation. Personalized marketing is here today and doesn’t appear to be going away. A blend of any of the above three methods can be used, depending on your needs and objects. Contact our office to schedule a free consultation to further discuss which options may best fit your business and client base. Please follow us on Facebook and Instagram for more helpful tips to grow your business!